The 21 metre long Delfin I is more of a floating hotel than a river boat. 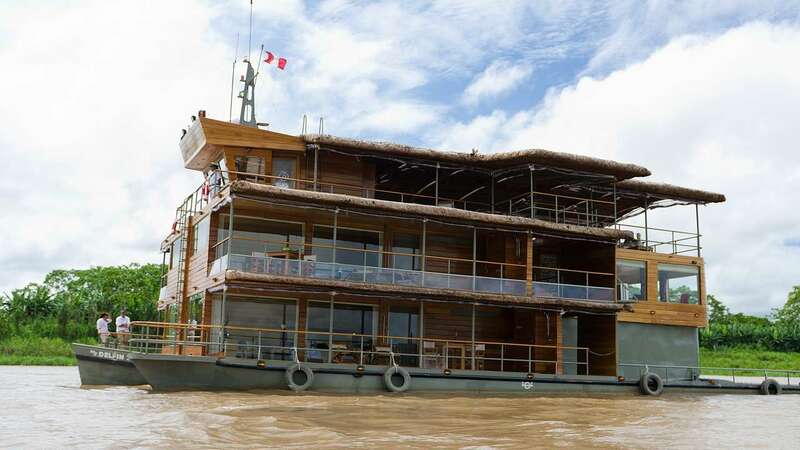 With just four huge suites, it is one of the most exclusive boats from which to experience the Amazon Basin. All suites have floor to ceiling windows, private panoramic terraces, fine cotton linens and silent air conditioning, while the two deluxe master suites also offer cool water plunge pools. The public areas feature an open observation deck, ideal for watching the sights of the Amazon drift by, and an entertainment centre with a range of DVDs and reading material on the wildlife and cultures of the Amazon.